Believe it or not, giraffes are vulnerable to extinction. They are an endangered species. Their numbers have plunged over the last 30 years from around 150,000 to less than 100,000, or a little more than the population of New Braunfels, TX. 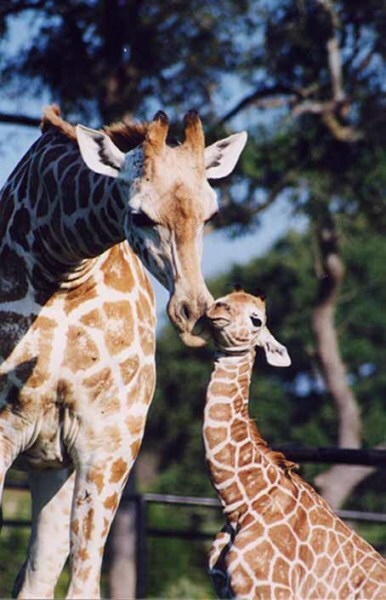 Their numbers are declining because their landscape is disappearing, due to encroachment by people for farming and agriculture, as well as mining operations, civil unrest, resulting from rebel militias operating in giraffe habitats, illegal hunting, which sometimes funds the militias, and ecological changes, such as drought and global warming that require giraffes to wander into new areas. SAVE THE GIRAFFES aims to stop the decreases in the number of giraffes in Africa so that future generations can marvel at these magnificent creatures, the tallest mammal on the planet. But we are not only trying to save giraffes. Because giraffes require a large amount of land for feeding, we can save other wildlife and habitats when we focus on giraffe conservation. Giraffes live in areas that are also inhabited by endangered mammals, such as Cape hunting dogs, leopards, and Abbott’s duiker, endangered birds, such as the secretary bird, southern ground hornbill, and martial eagle, and endangered reptiles, such as the Usambara spotted worm snake. Giraffes are what conservationists call an ‘umbrella’ species because by protecting these iconic animals, we can protect a host of other not-so- iconic species that are also in trouble.